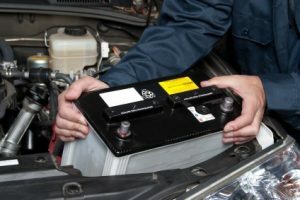 Your vehicles battery will need to be changed within time. It will usually say when it will expire and when the warranty is due. However there will be months when we will not crack open our car hood to check. This can result in a car battery going short. 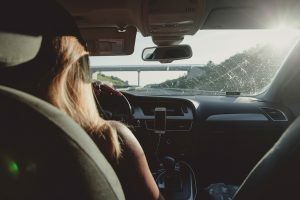 Another reason would be electrical accessories or lights were left on within the vehicle for an extended period of time. 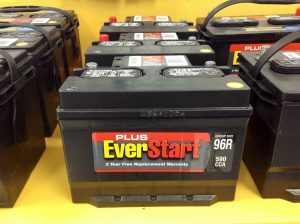 Doing this will drain your vehicles battery causing it to no longer start. If you have tried jump starting it and it still won't start, then by all means you will need mobile battery replacement service. KB Camarillo Towing offers very affordable mobile battery replacement service within the Camarillo and Thousand Oaks area. Give us a call 24 hours a day we're here anytime you need us. If you happen to stumble across vehicle battery issues during late night or early morning hours don't worry, we will be there. Our phone operators and towing technicians are available 24 hours a day to take your call and replace your vehicles battery with haste. Once you call be sure to give the phone operators all the necessary details such as your vehicles location and make / model. This way the towing technician will arrive with a new battery that matches the exact specs of the vehicle. Once you see them in action you will see how professional and fast they are. Low cost mobile battery replacement service is what many know us for along with our expedited service. If you need 24 hour mobile battery replacement service in Camarillo and the Ventura area give us a call anytime. Nobody can really predict when car battery issues may occur, they just tend to happen. So be sure to save our phone number in your phone anytime you seek low cost mobile battery replacement service within Camarillo and the Oxnard area. Since we have the largest fleet of tow trucks within the Camarillo, Ventura, Oxnard, and Thousand Oaks area we are able to service all the areas at once. Within our 10 years of business we have built ourselves into a tow trucking stronghold allowing us to drop our prices. Our low prices are the result of handling many towing and roadside jobs at once. Most importantly, our low prices are here to help our clients during financial problems. Give us a call 24 hours a day anytime you need low cost mobile battery replacement service within Camarillo and the Oxnard area. Copyright © 2019 KB Camarillo Towing. Powered by WordPress. Theme: Ample by ThemeGrill.